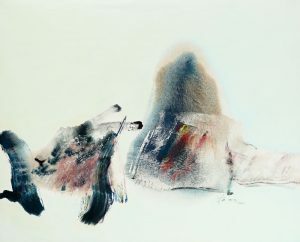 Chuang Che was born in Beijing in 1934. His father worked at the National Palace Museum as a scholar and calligrapher, introducing the young Che to the art of calligraphy, an art which would later directly influence his paintings. As a young man, Che studied Fine Arts at National Taiwan Normal University, where he was taught about the Eastern traditions of painting. However, Che felt that there was more that could be brought to these old ideals. 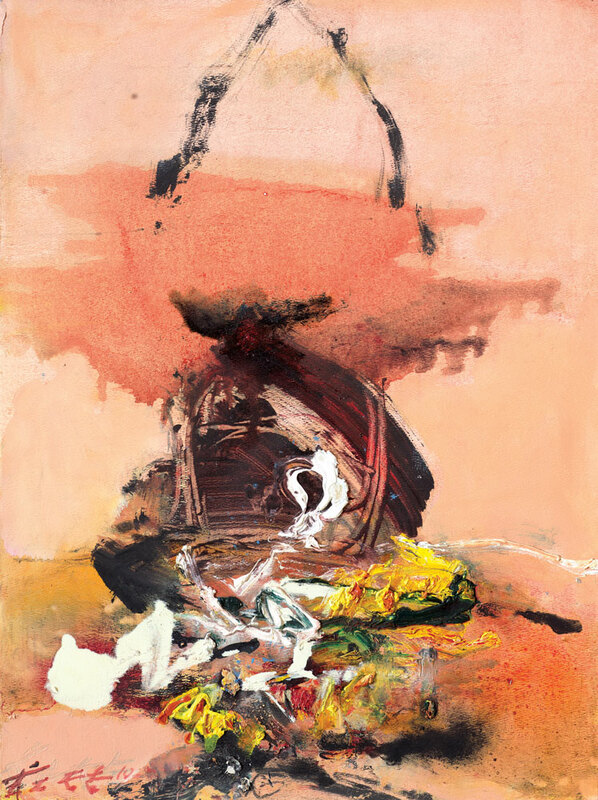 So upon graduating in 1958, Che joined the Fifth Moon Group, a group of Chinese artists who sought to bring modernism to the art world in Taiwan. Shortly after this, in 1966, Che received the J.D. Rockefeller III fund travel grant, and used it to move to the United States and continue his artistic studies. 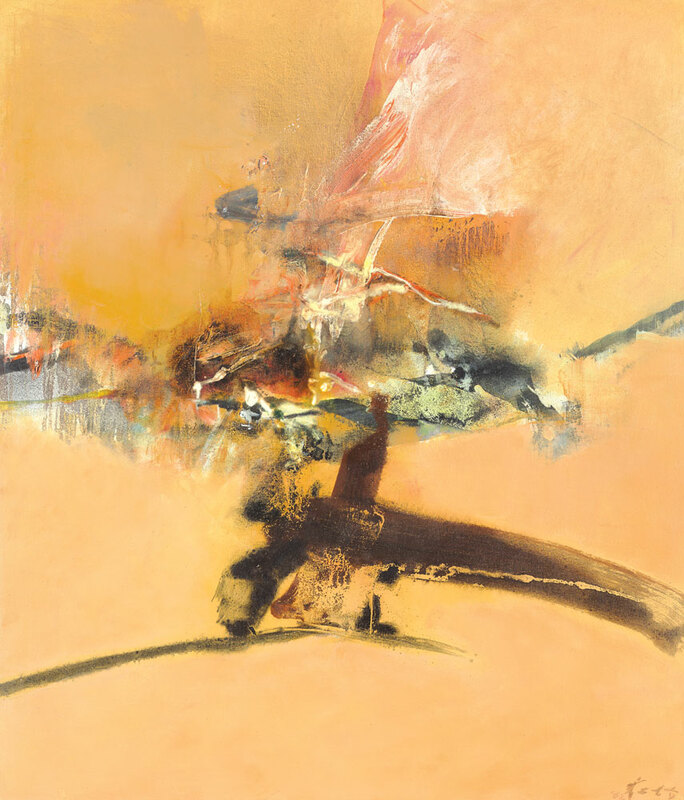 Moving first to Iowa and then New York, Che was exposed to the contemporary Western painting styles of the time, most importantly Abstract Expressionism. This style would, like calligraphy, have a profound effect on the work Che produced. Che’s work can be seen as a confluence of East and West. 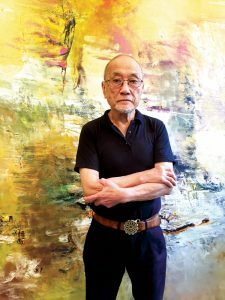 He remarks: “No art can mature by itself; it has to absorb nutrition from the rest of the world’s art. 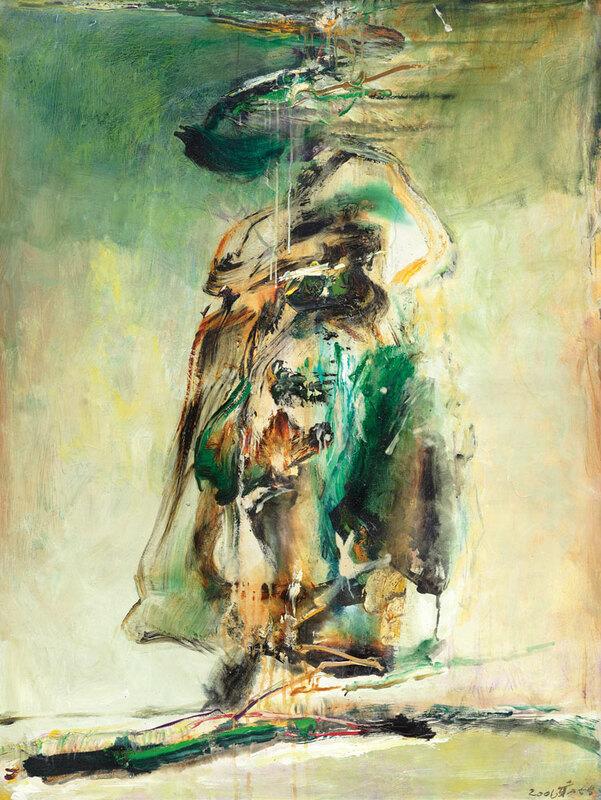 I’ve always had this ideal; to see a fusion of Chinese and Western painting.” Indeed, the traditional techniques of his Chinese heritage and formal education merge with influences of Abstract Expressionism from his time in America and Europe. The resulting paintings have a beautiful balance and flow to them, like calligraphy, but with color abstract forms instead of Chinese characters. Che has lived in the United States since 1973. His work has been exhibited at museums and galleries around the globe, in North and South America, Europe, and Asia.